Still, I wanted to give the concealer a try because I thought it would be heavy duty enough to give the Makeup Forever Full Coverage Concealer a run for its money. The Amazonian Clay Full Coverage Concealer comes in a squeeze tube that's virtually identical to the Amazonian Clay Foundation's packaging. 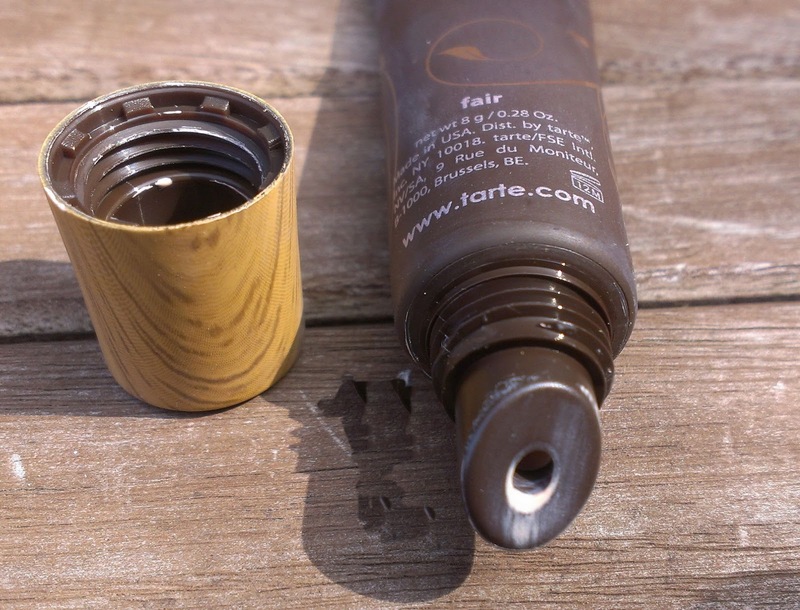 Instead of the typical nozzle on a squeeze tube, though, it features a slanted top applicator similiar to those you sometimes find on lipglosses or balms. I purchased the concealer from QVC (which I believe is the only place that you can get it right now) and it actually came with a double-ended concealer brush. 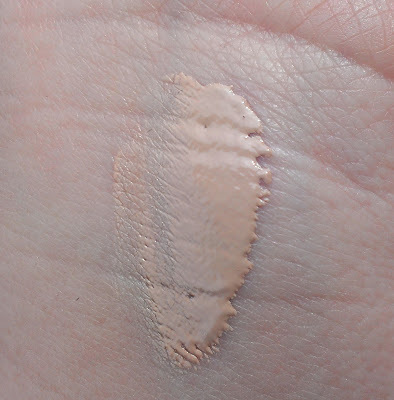 One end is smaller, rounded and very dense so it's ideal for patting on the concealer. The other end is larger and very fluffy so it easily blends out the concealer. As far as the formula goes, this concealer is definitely full coverage -- it covers redness, breakouts, acne scars and other average discolorations. I'm not sure that it would completely cover more serious pigmentation issues like birth marks or tattoos, but I think it would come close. The drawback to all that full coverage, though, is that the concealer is fairly thick and sticky. That's not such a bad thing if you're using it to cover some acne or dark spots on the face -- I think the stickiness actually helps the concealer last all day -- but it's not the best consistency for under the eyes. I can use it on my dark circles if I use an extremely thin layer and blend well, but it winds up creasing about halfway through the day even when I set it with powder. 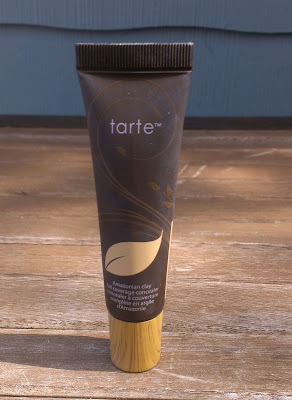 The Tarte Maracuja Creaseless Concealer is still my favorite for under the eyes. But I do think the Amazonian Full Coverage Concealer is pretty great for spot concealing. 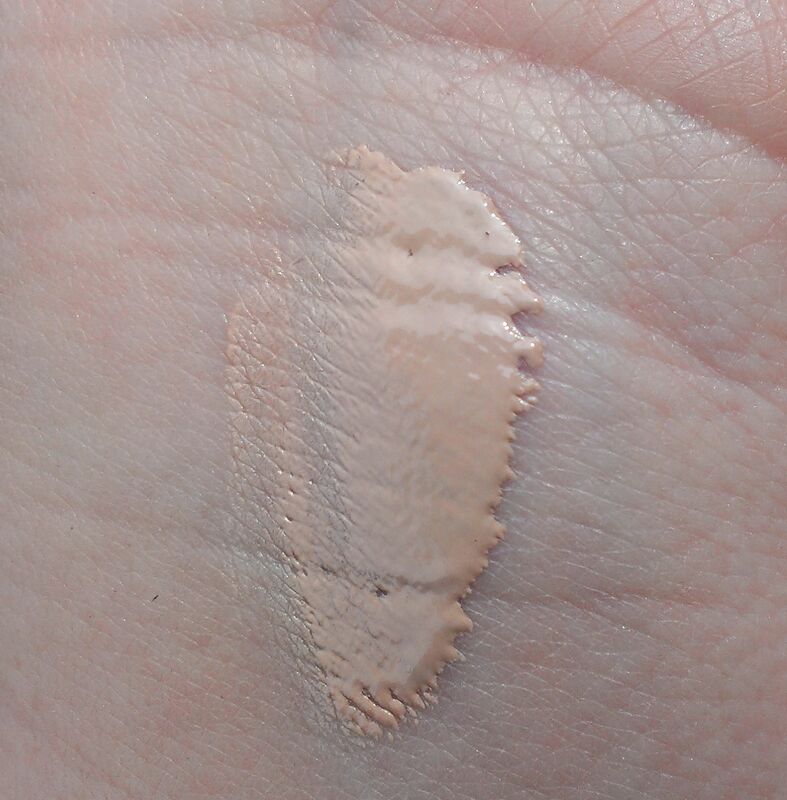 I think it gives the MUFE Full Coverage Concealer a run for its money, actually. I purchased the concealer in the lightest shade, Fair. It is a pretty good match for my skin, though it is a tad darker than the Maracuja Creaseless Concealer in Fair. The concealer comes in four other shades: Light, Medium, Tan, and Deep. The brush that comes with the concealer is excellent -- it makes applying and blending it really easy and provides outstanding coverage and a natural finish. The tube contains 8 grams of product and retails for $25.26 (plus s/h and tax) along with the brush at QVC.com. That's a pretty excellent deal if you ask me, especially since a little of the concealer goes a long way so a tube should last a good long while. All in all, I'd definitely recommend this product as long as you're looking for a facial or spot concealer. If you want an undereye concealer, I think that there are definitely better options out there. Have you tried the Tarte Amazonian Clay Full Coverage Concealer? What's your favorite concealer for spot concealing? Note -- Seeing the heartbreaking images coming out of Oklahoma definitely makes makeup seem pretty insignificant. For anyone that lives in or has loved ones in OK, my thoughts are with you. If you're interested in making a donation to those affected, here's an article that outlines some of the charities providing aid to the victims. I tried out this concealer too. I found it really drying under the eyes and it looked cakey. Like you, I like it for spot concealing though. I don't plan on repurchasing it. Yeah, I probably won't repurchase either. Because, honestly, there's still a bunch of other concealers that I want to try.